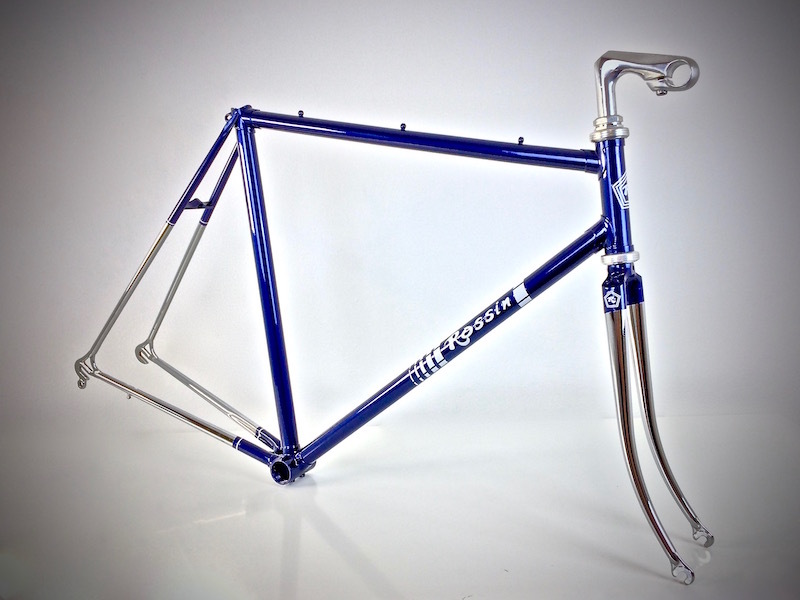 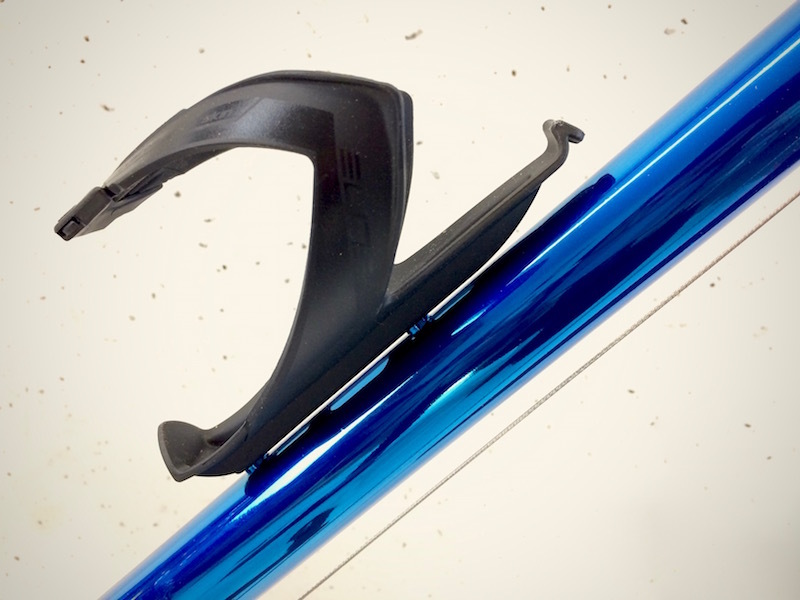 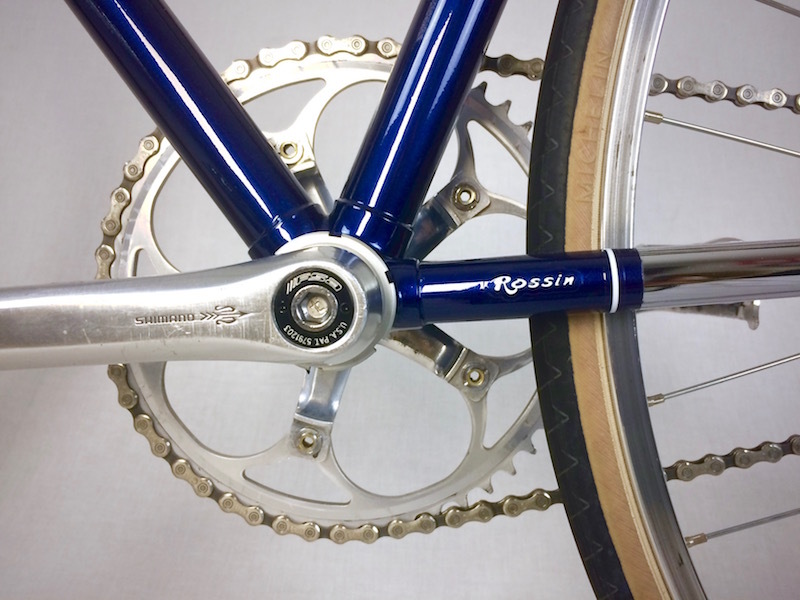 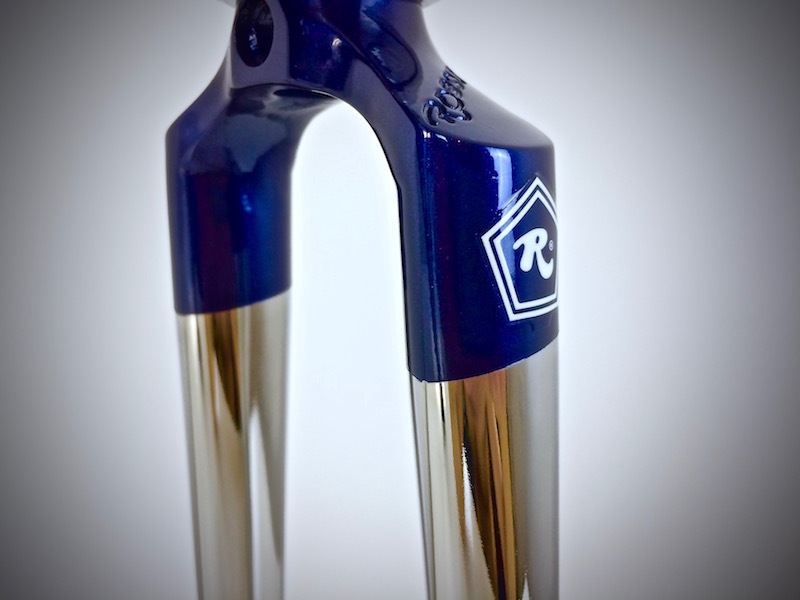 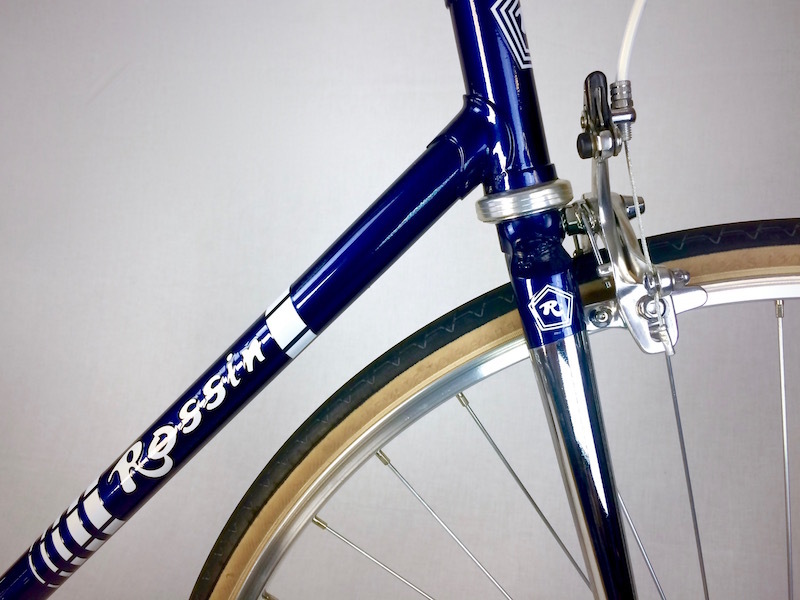 “A Rossin deserves a special treatment”, that’s what I thought when this old frame was brought to me to became a blue and chrome bike. 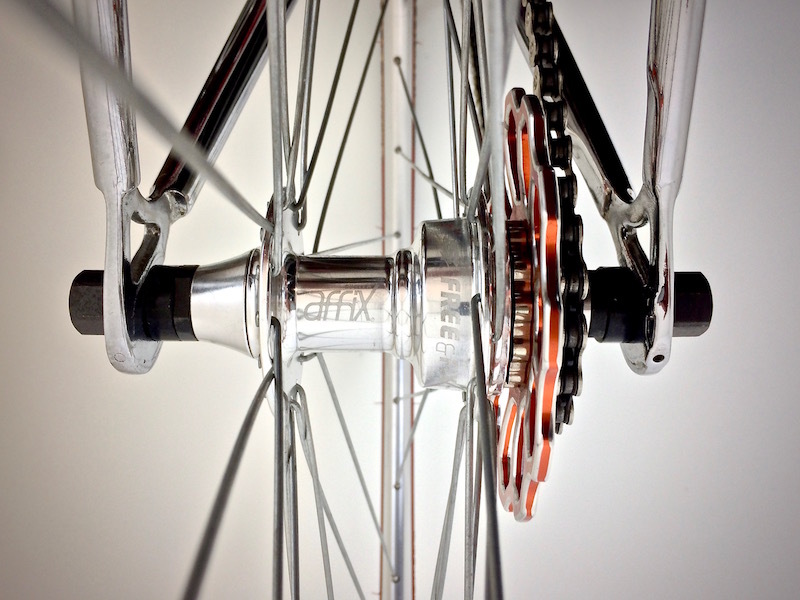 New chrome plating, pearl paint, wheels built from scratch and partly new and partly restored components. 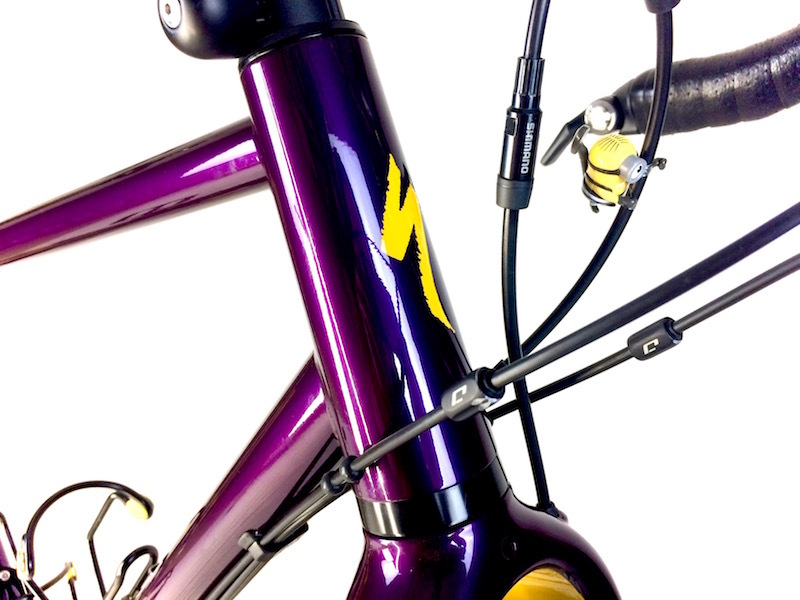 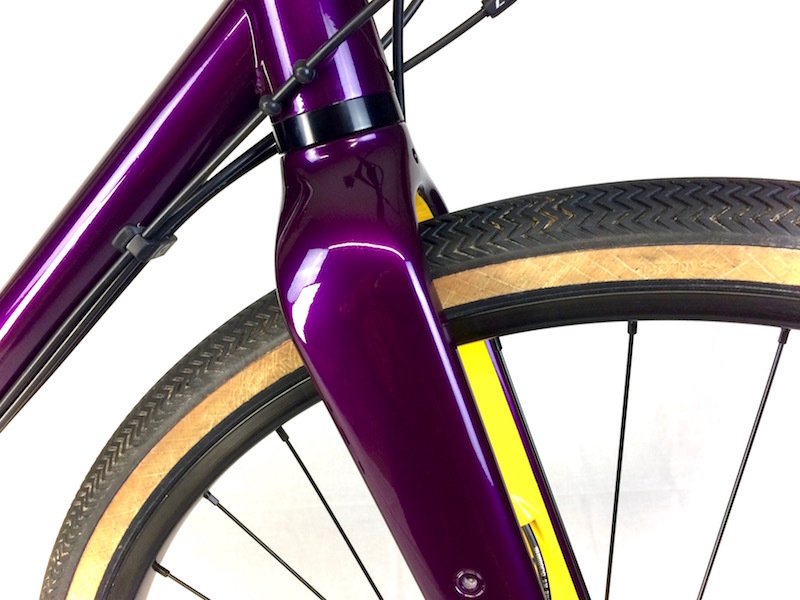 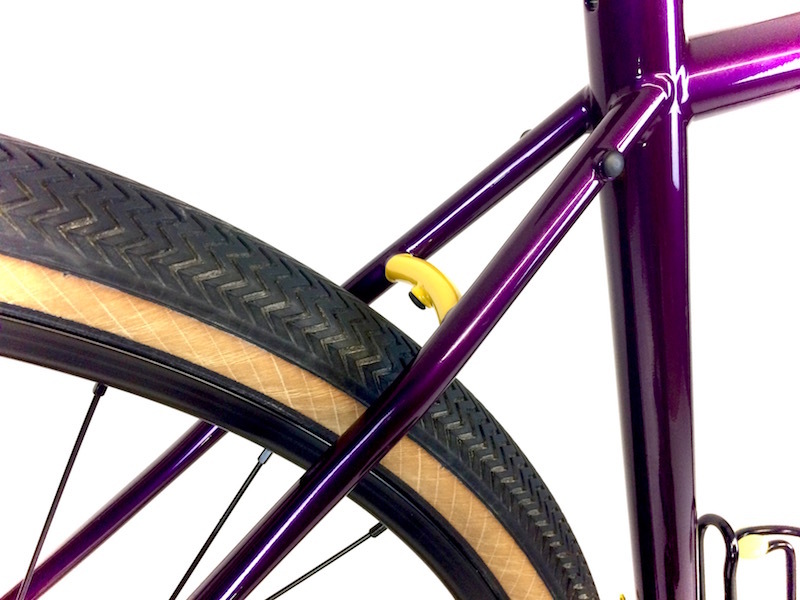 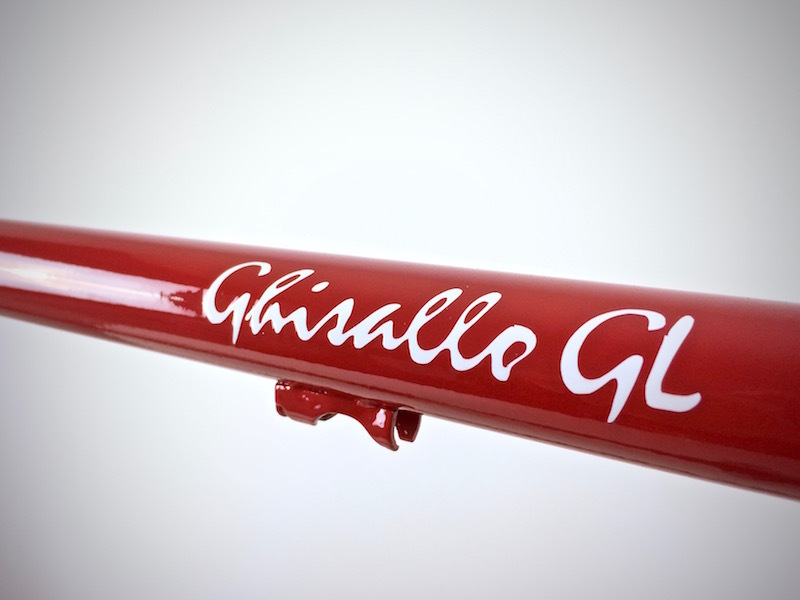 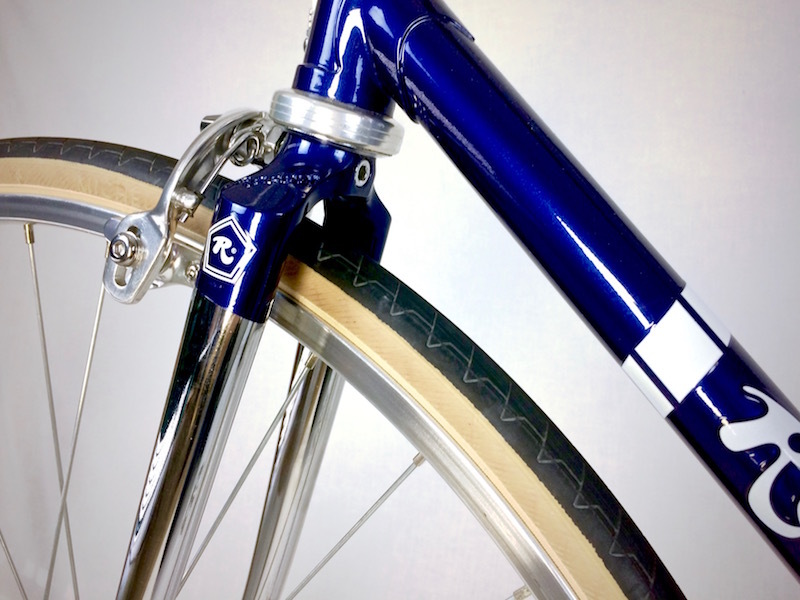 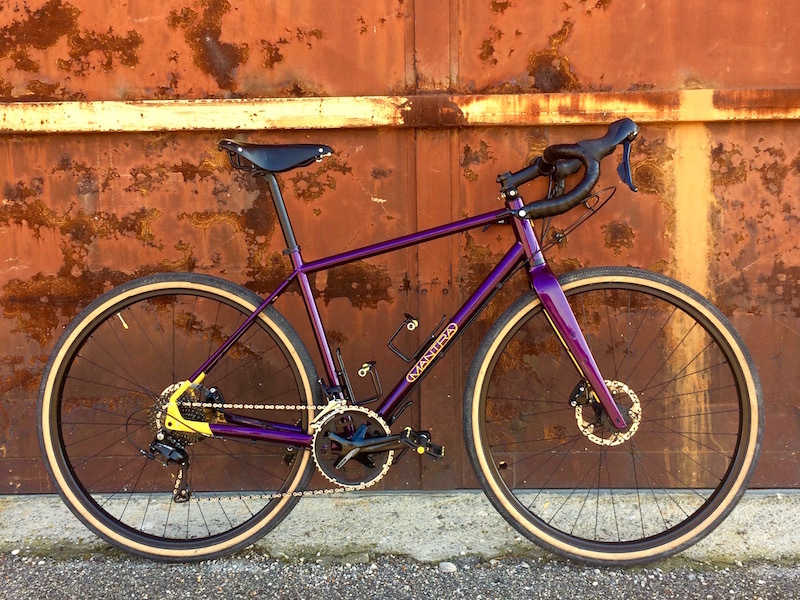 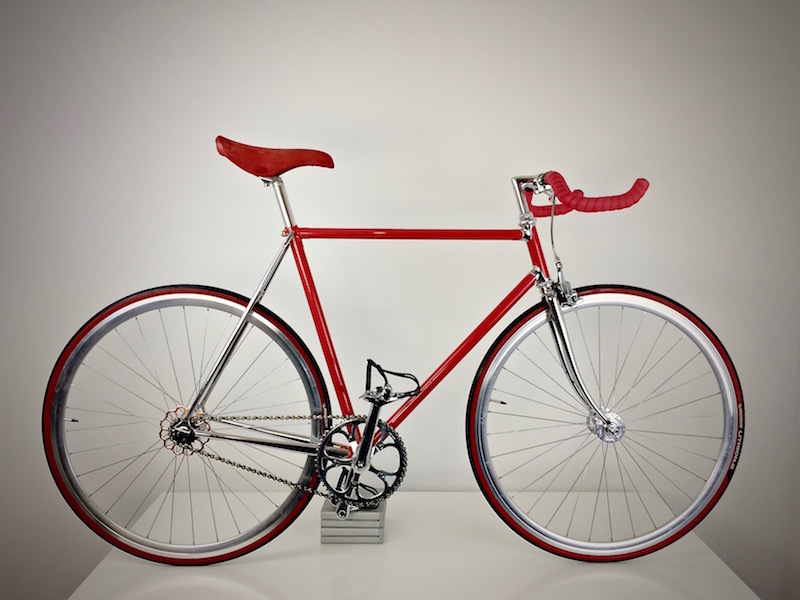 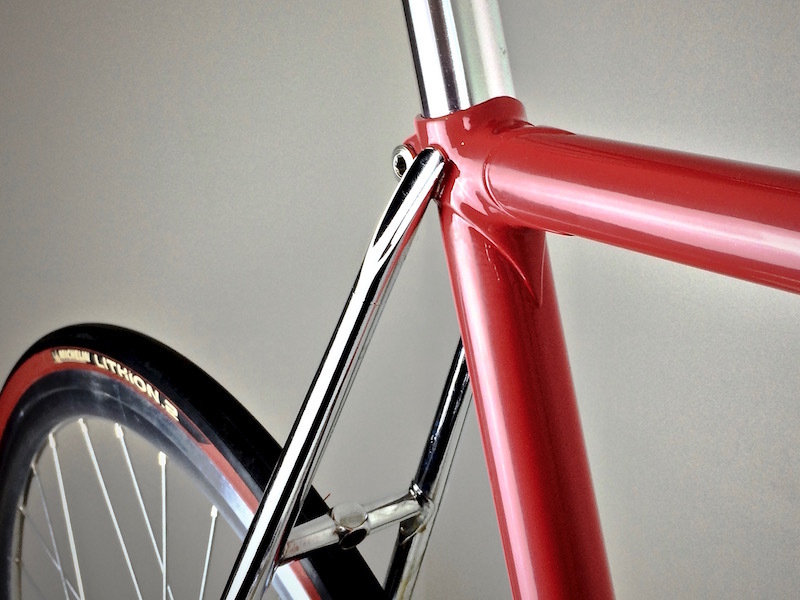 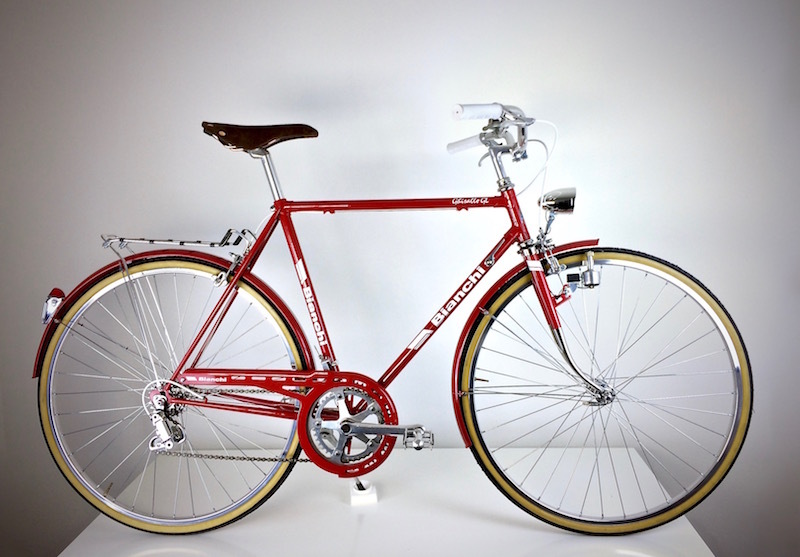 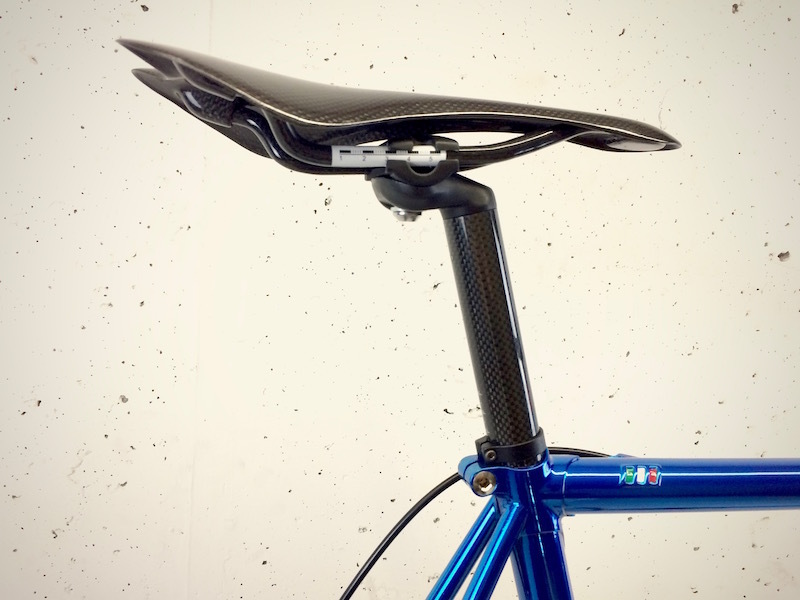 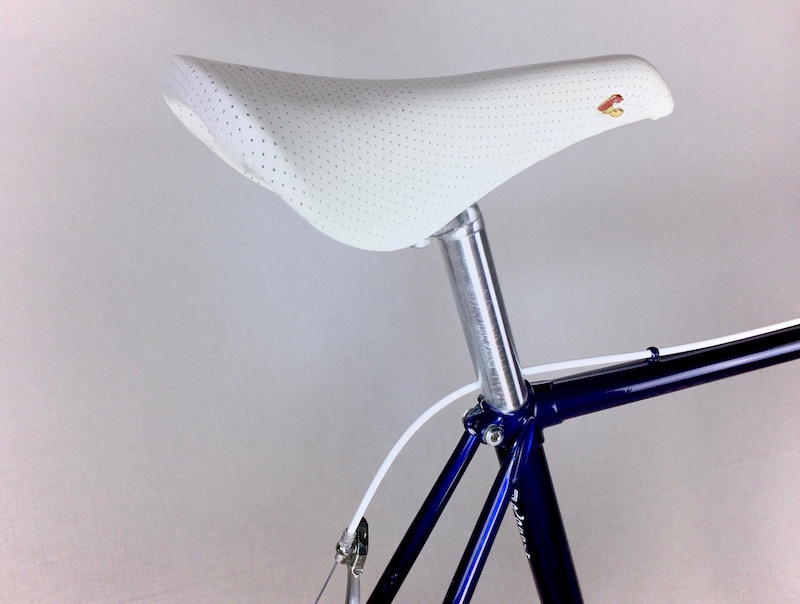 A “Volare” Cinelli saddle and matching Rossin decals complete this single speed. 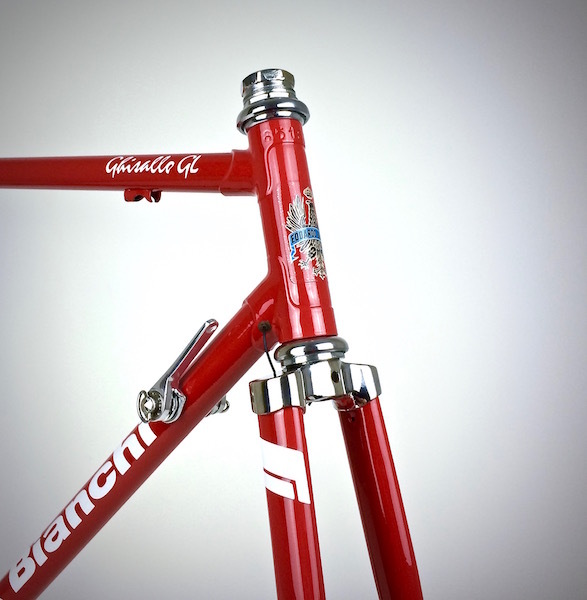 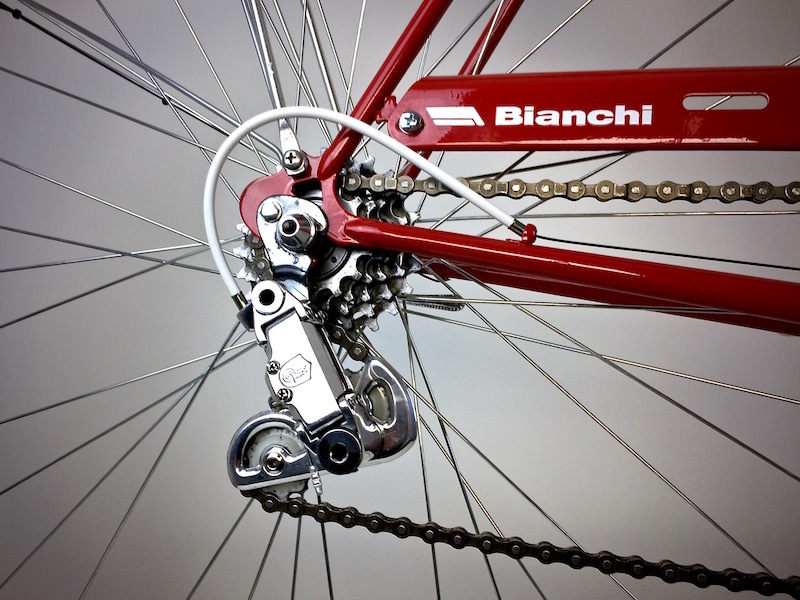 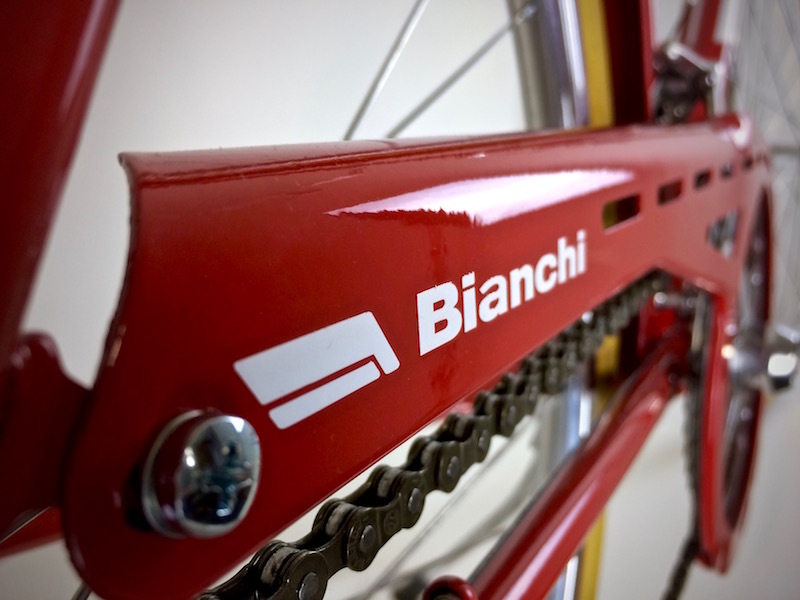 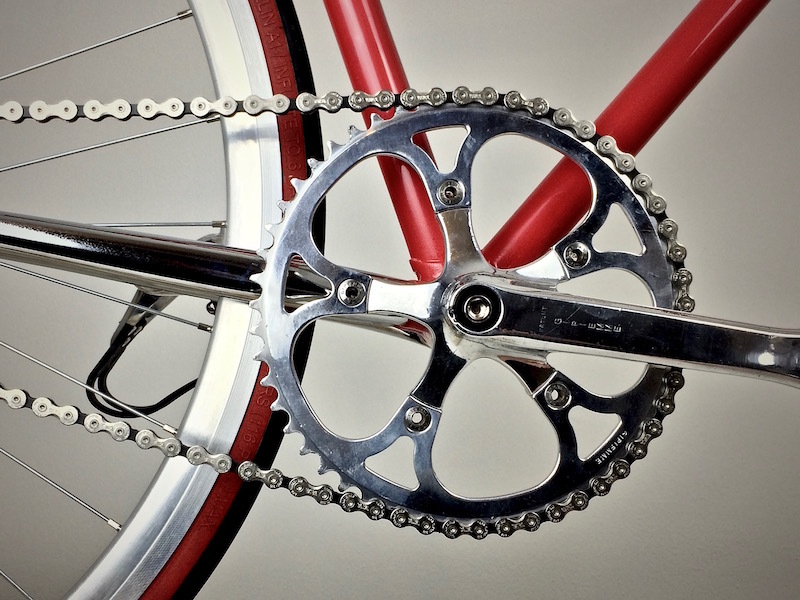 A gift by the father in the 80s, this Bianchi, equipped with Campagnolo and Regina Extra 6v box, was in the need to be brought back to its original splendor. 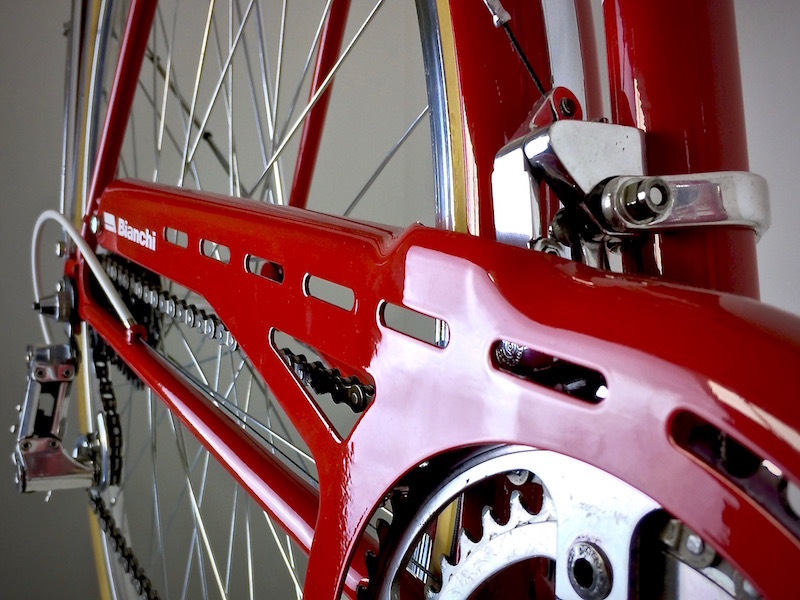 Once sandblasting was carried out, the original red color was restored using current products. 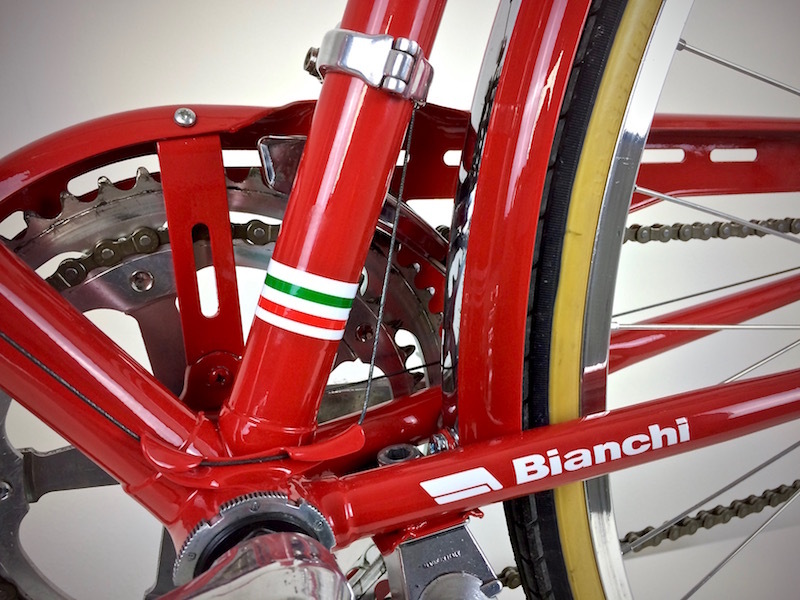 Polished circles and hubs, restored wheels, decals created on the basis of the originals and the “Regal” San Marco saddle complete the restoration. 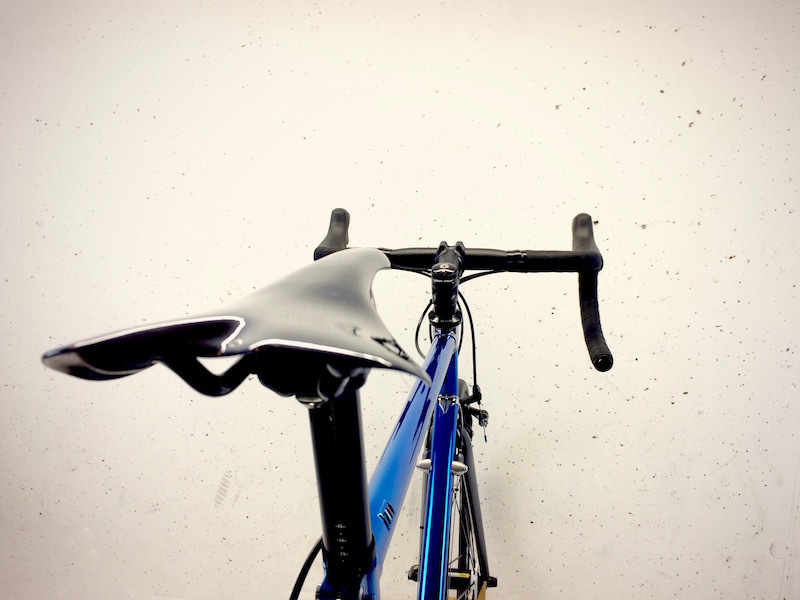 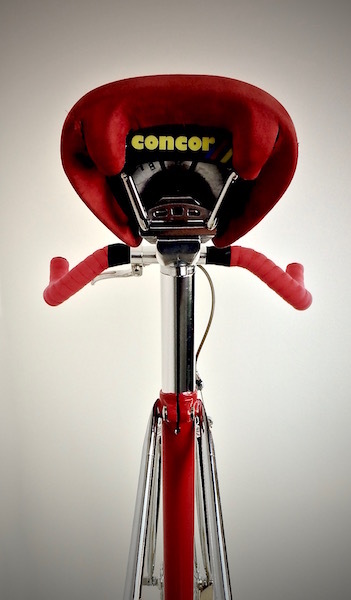 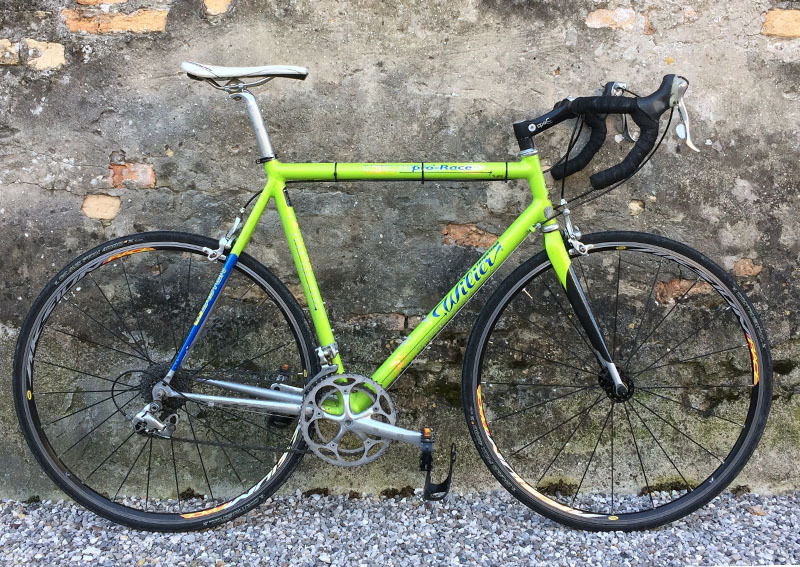 Used as a indoor training bike with rolls, this Wilier was eager to see the asphalt again. 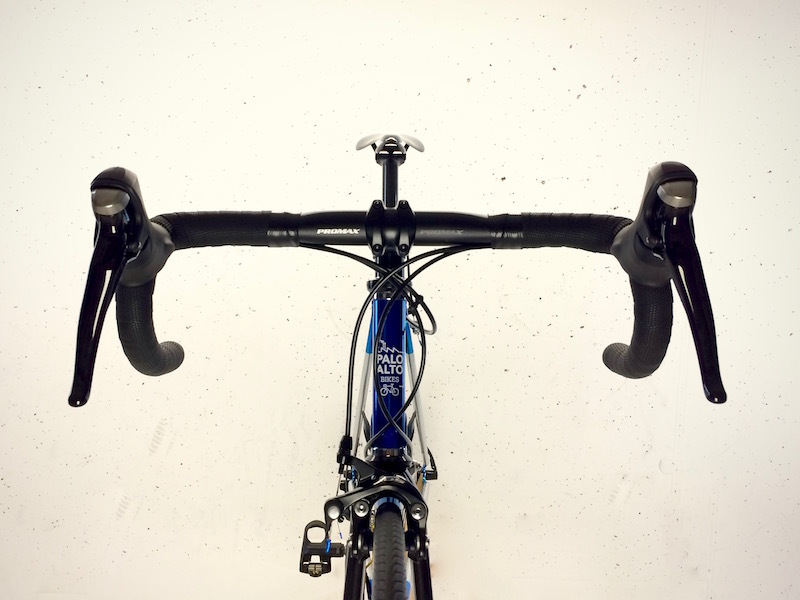 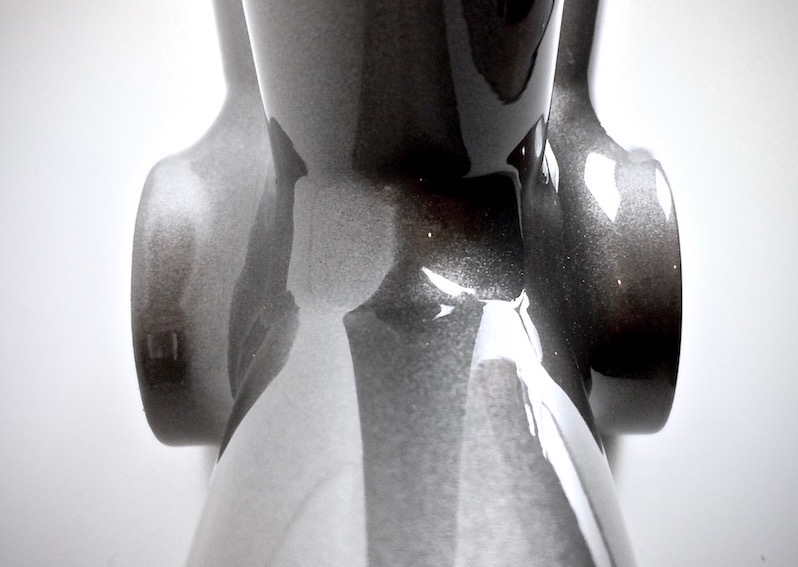 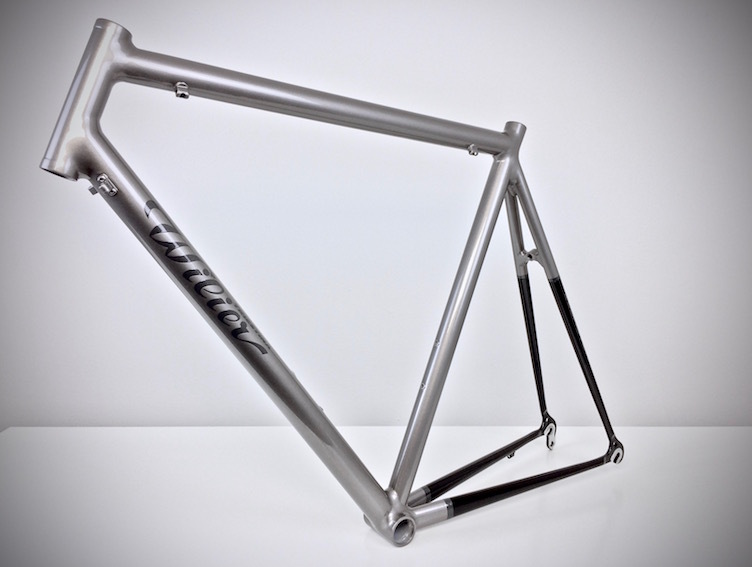 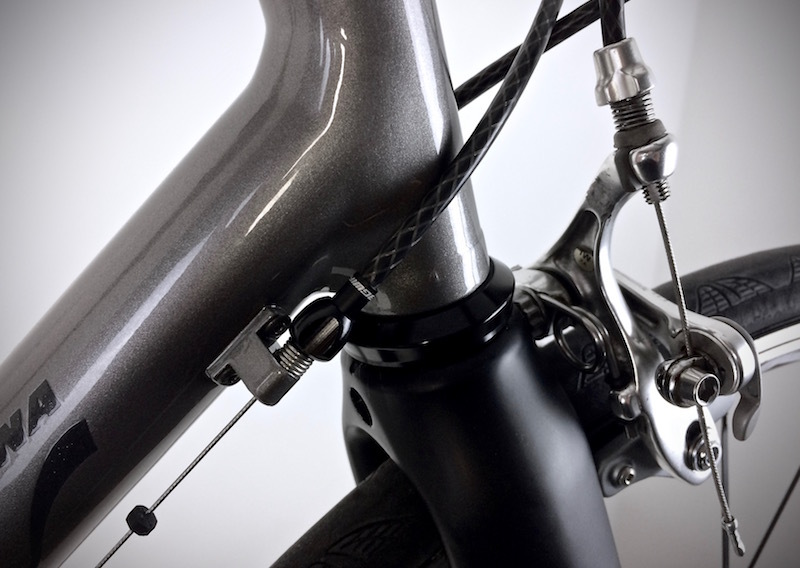 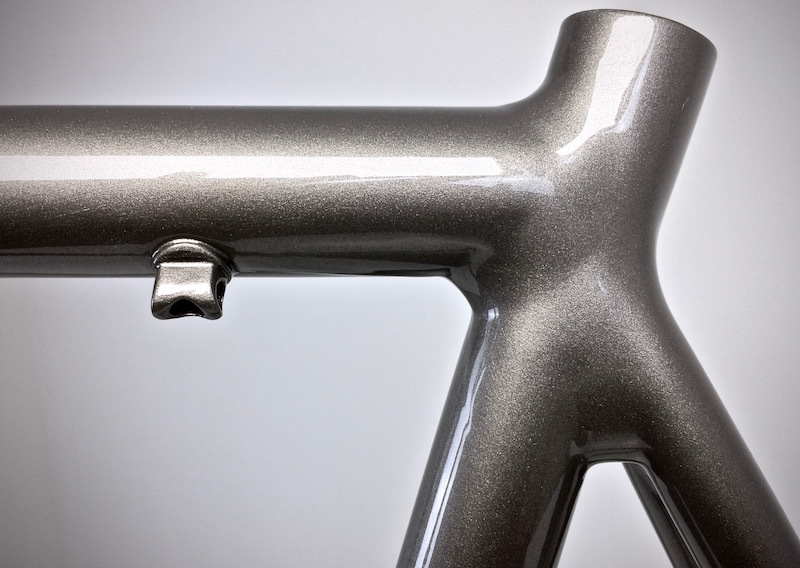 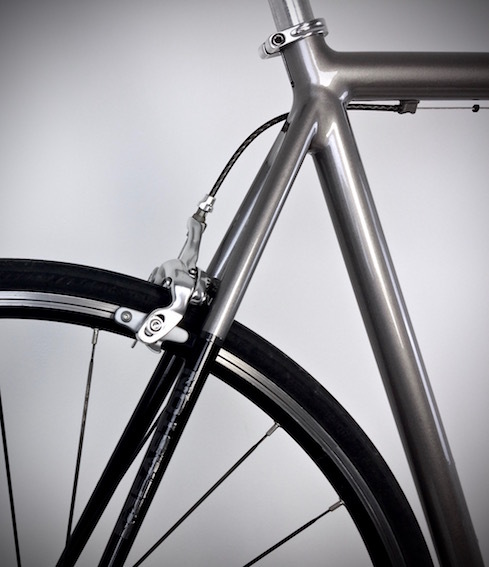 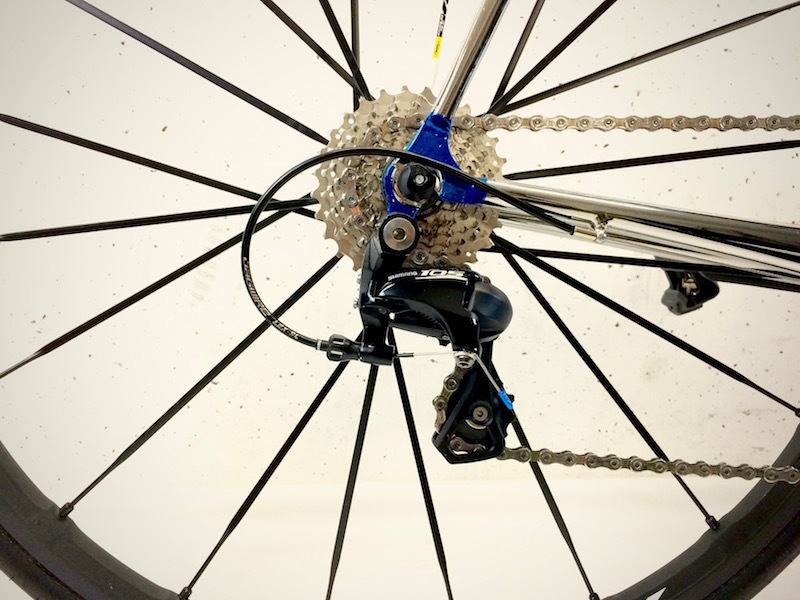 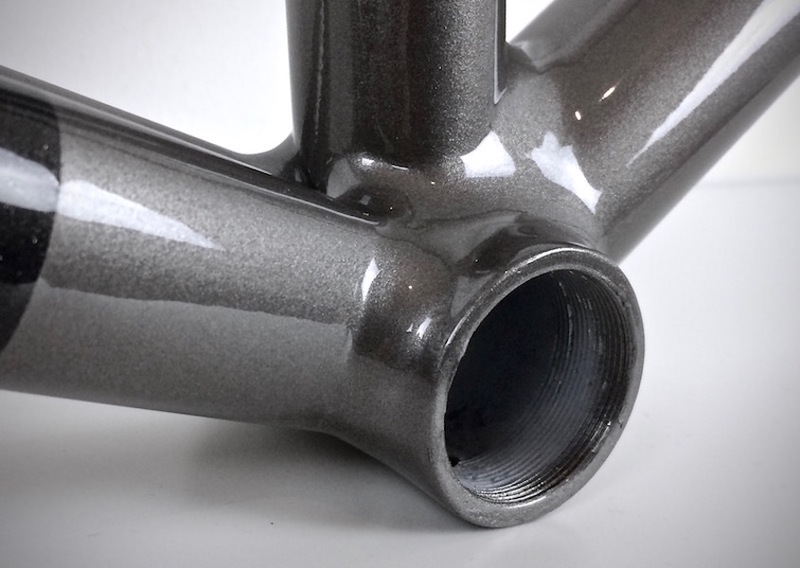 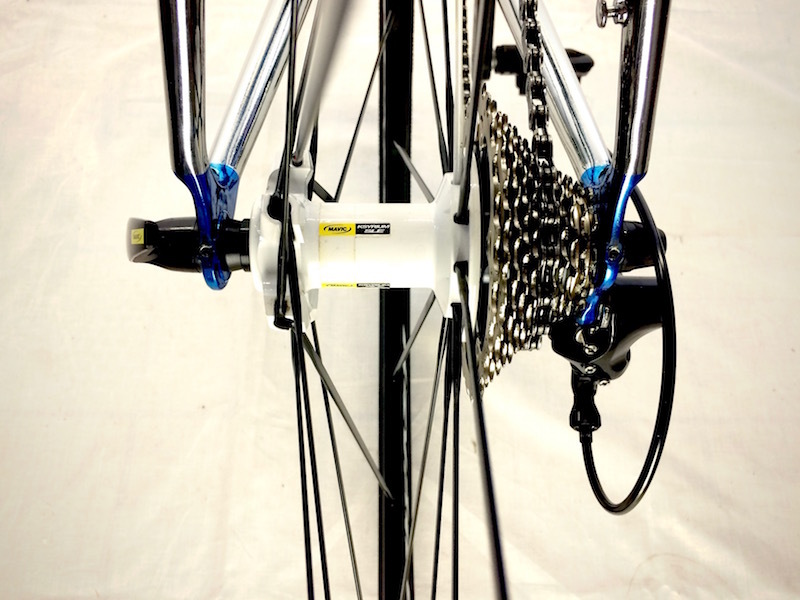 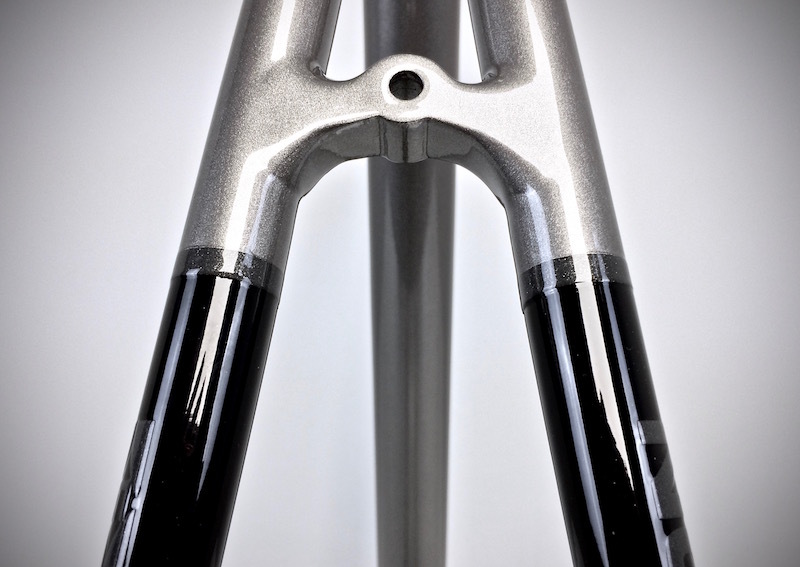 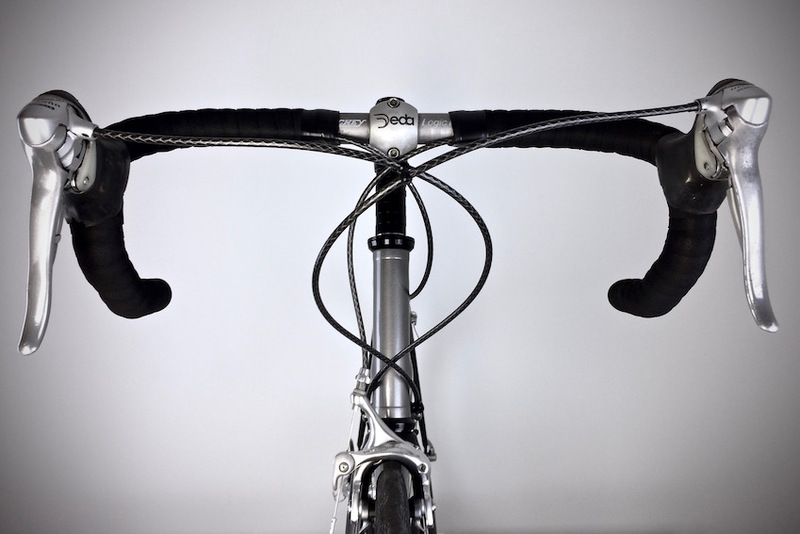 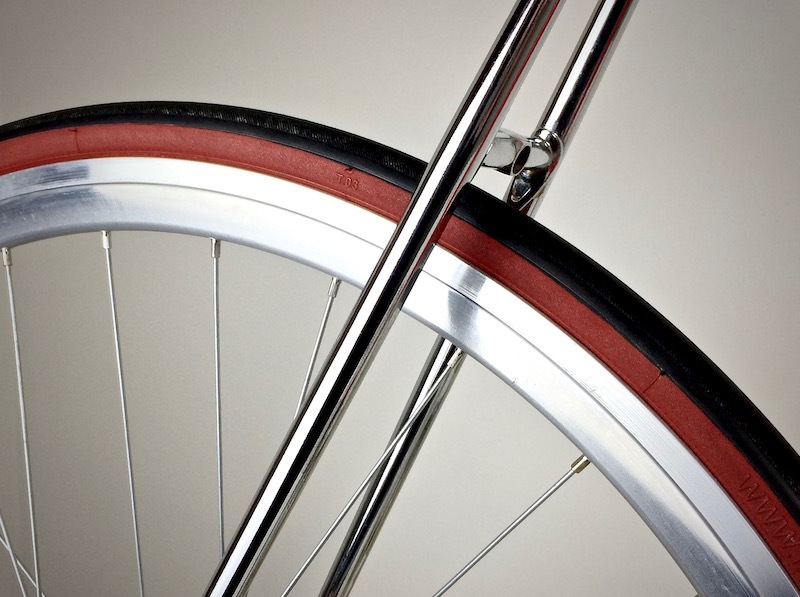 After restoring the bidon holes and the cable housing worn by the sweat, a simple black and gray scheme was implemented. 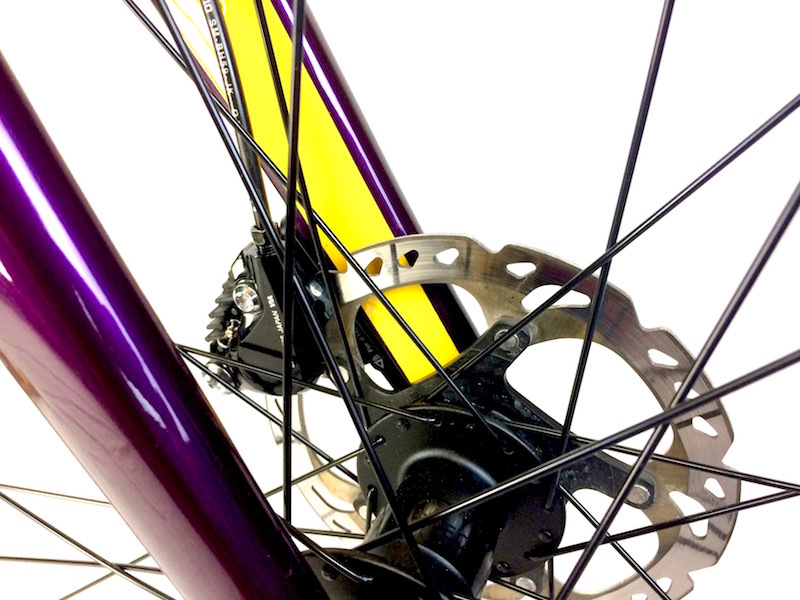 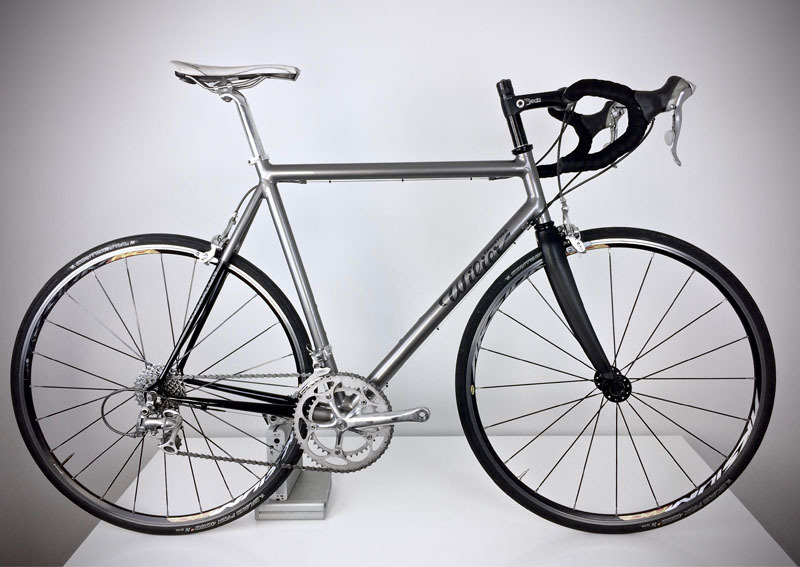 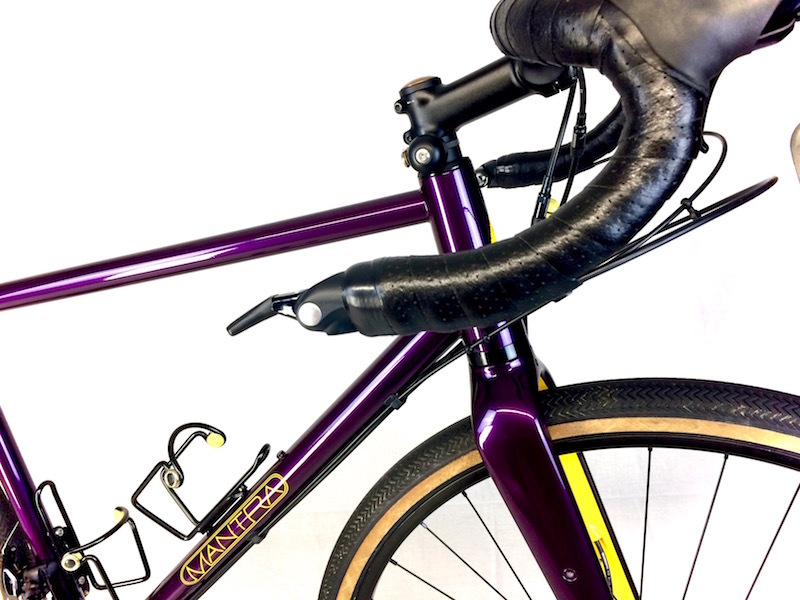 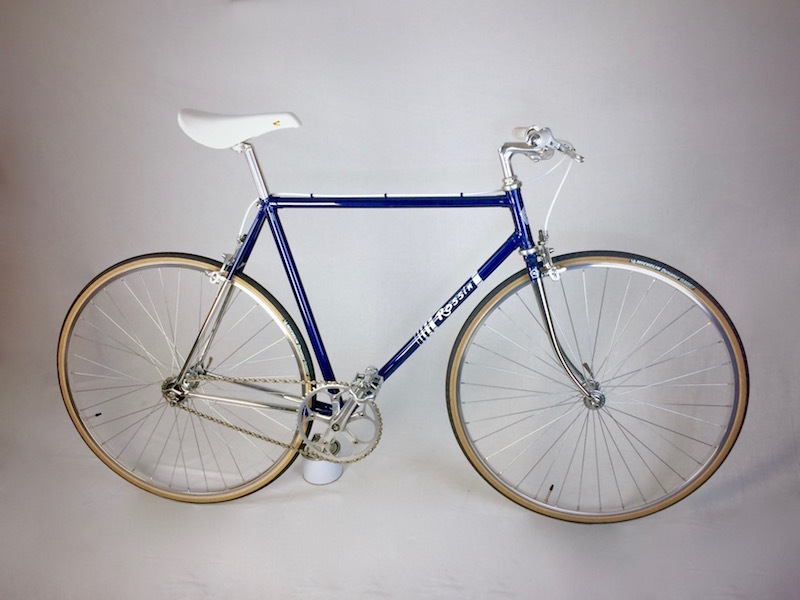 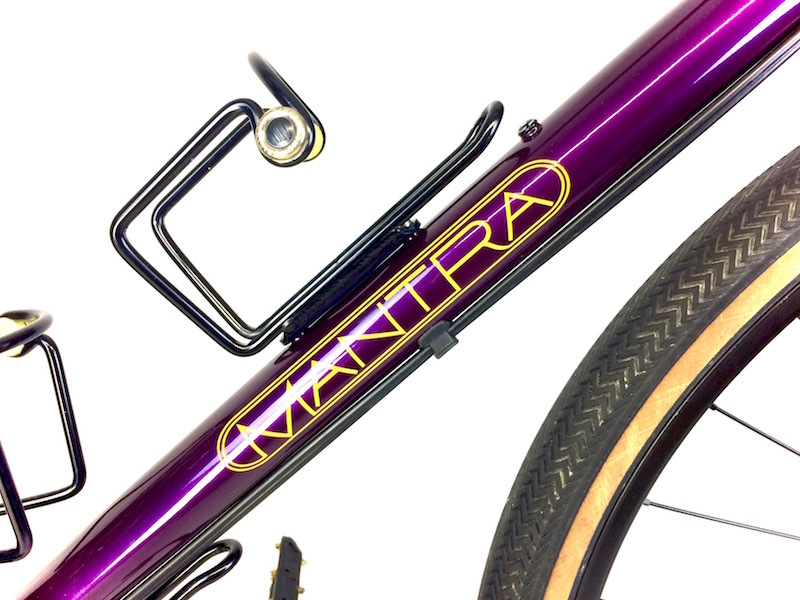 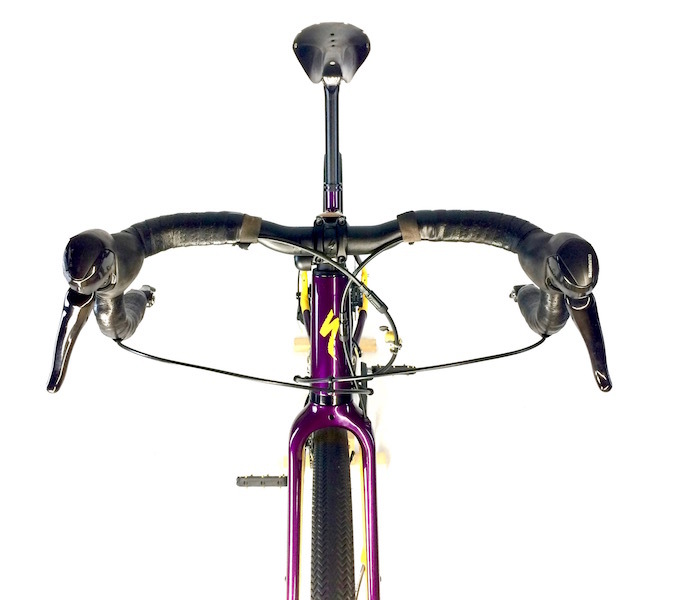 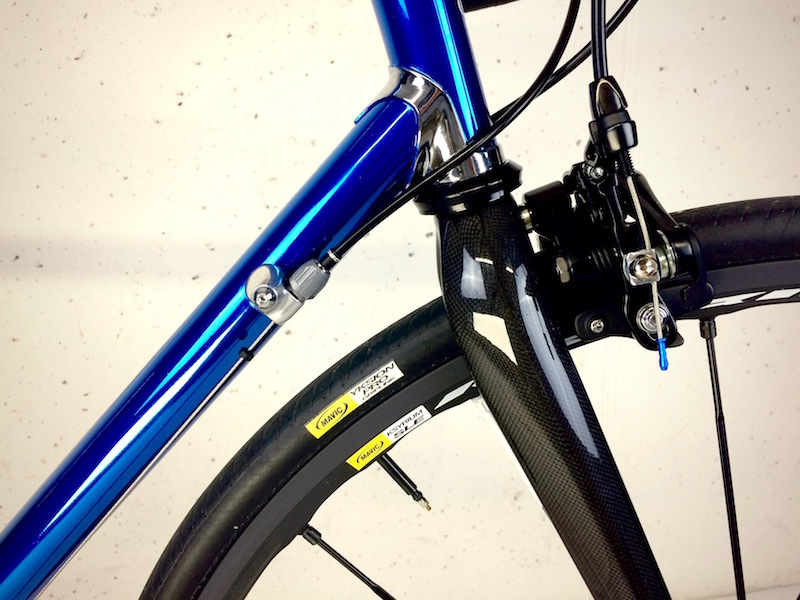 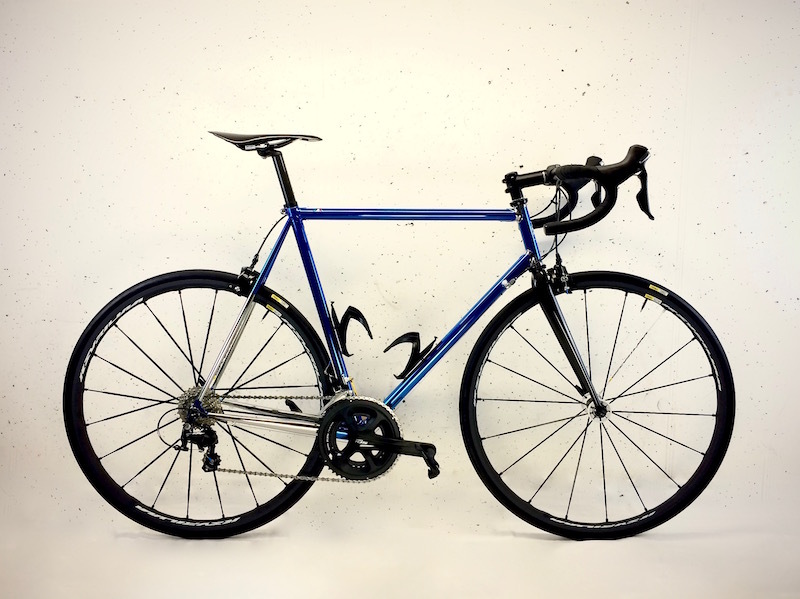 Custom decals and a new full carbon fork complete the restoration of this ultralight with Easton tubing mounted Shimano Ultegra 9V. 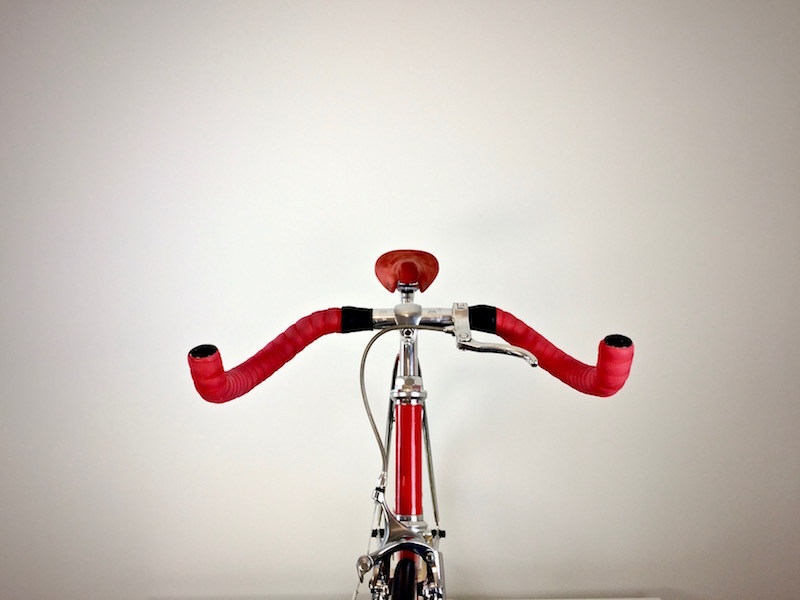 “I want it red” for the rest I had free hand. 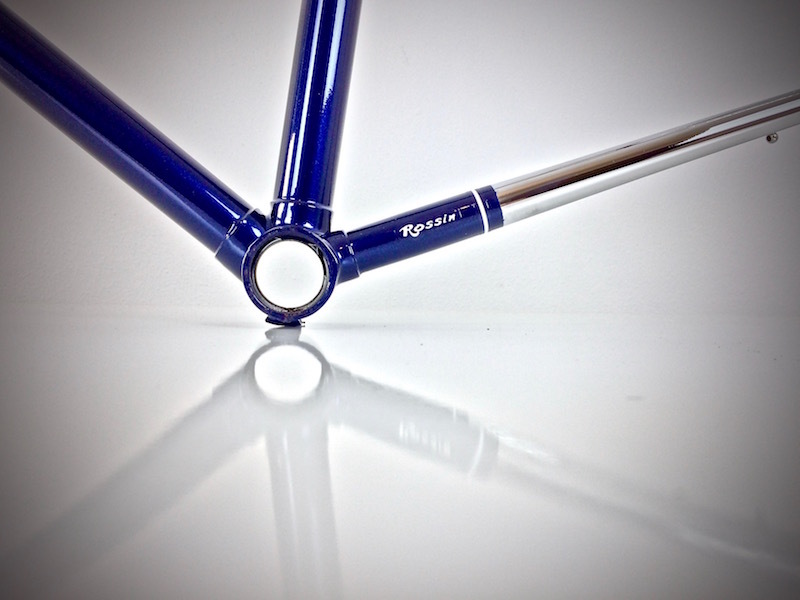 For the frame I chose a Columbus “Extra EL”, light but at the same time stiff. 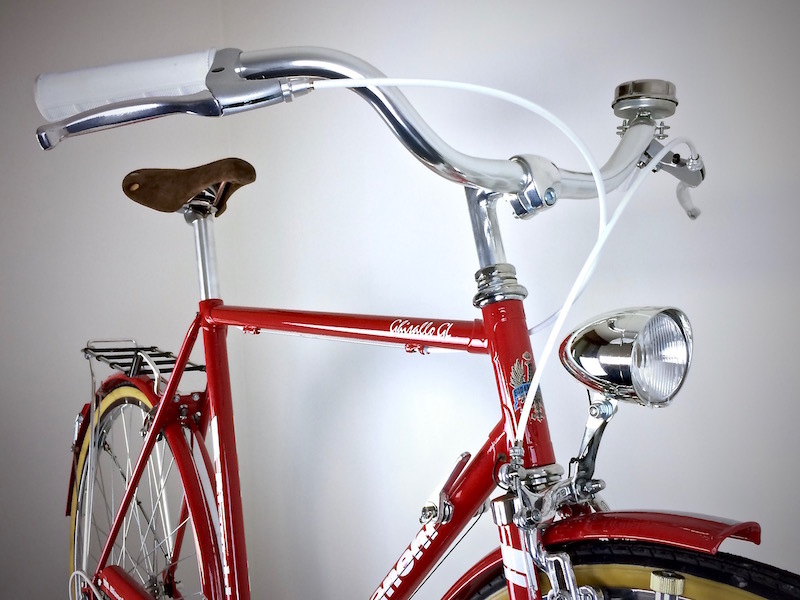 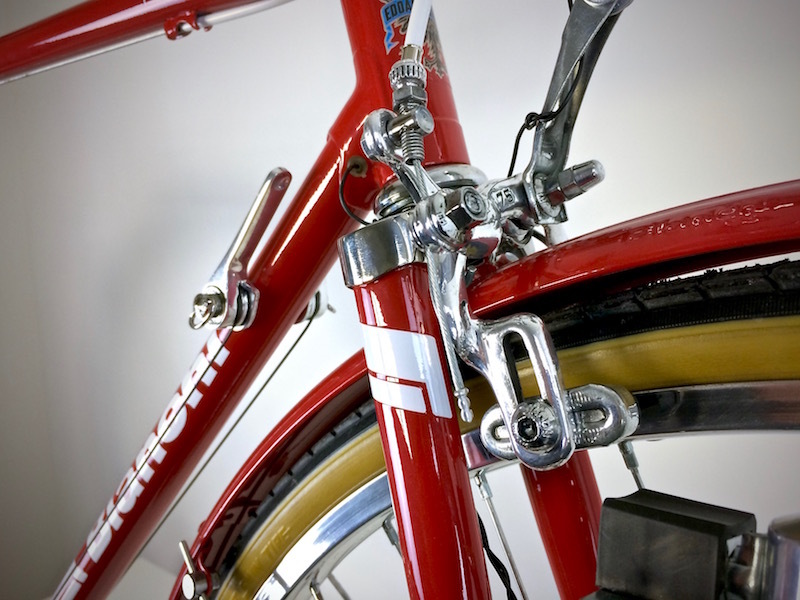 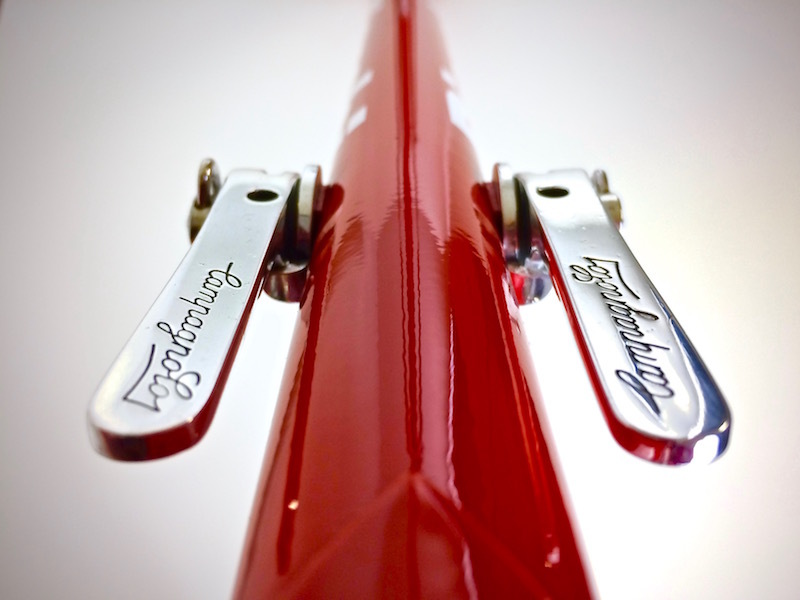 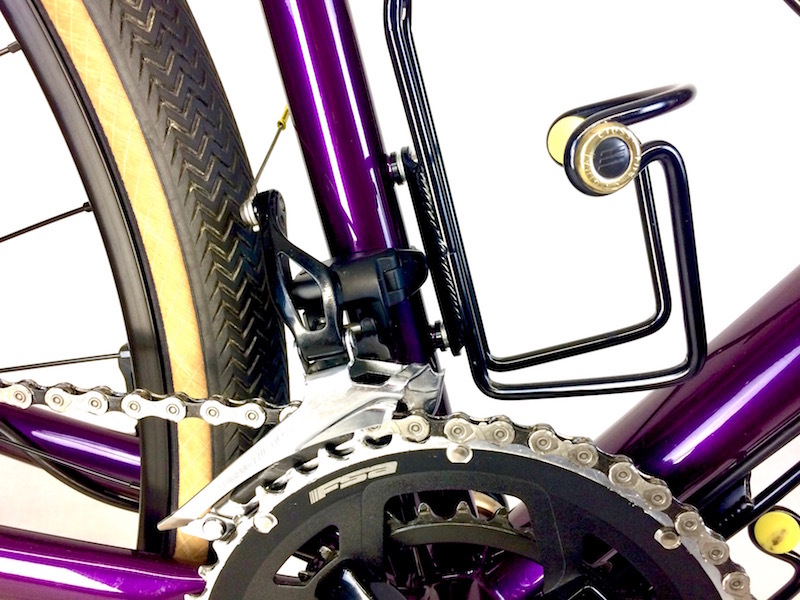 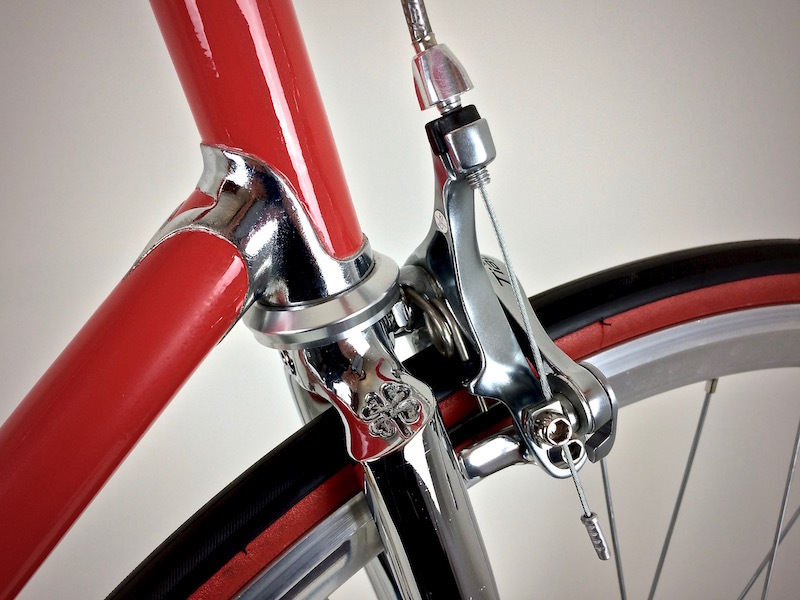 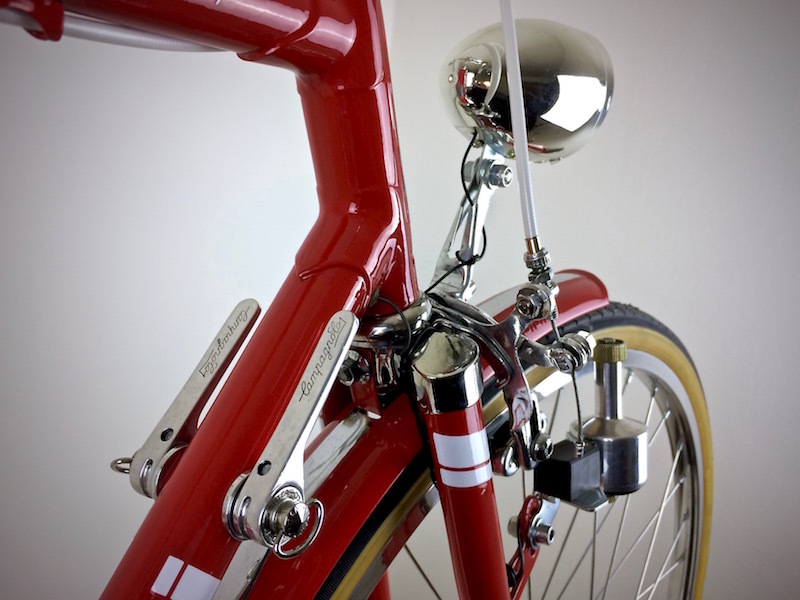 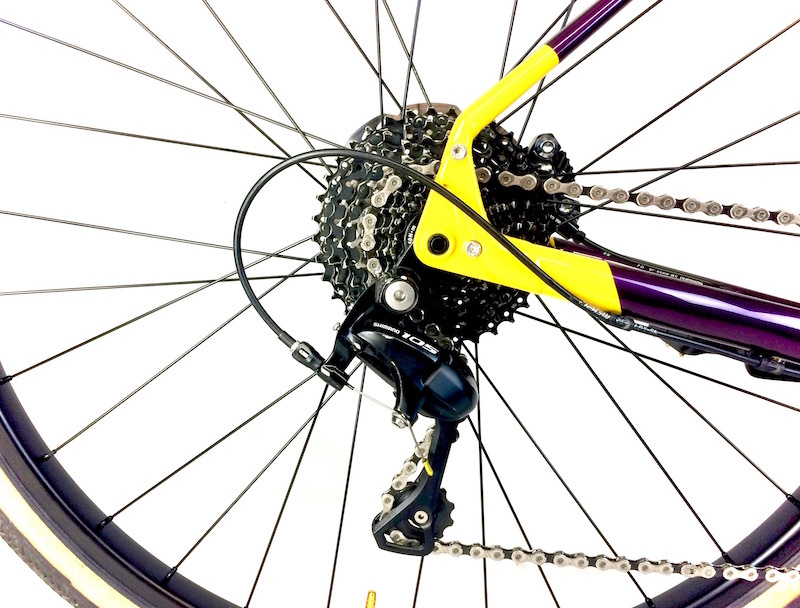 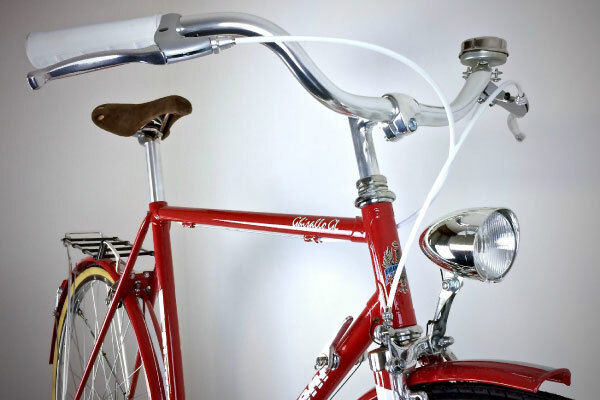 To give it a pistard look, the supports of the bottle holder were welded and chain stay, lugs and fork were chromed. 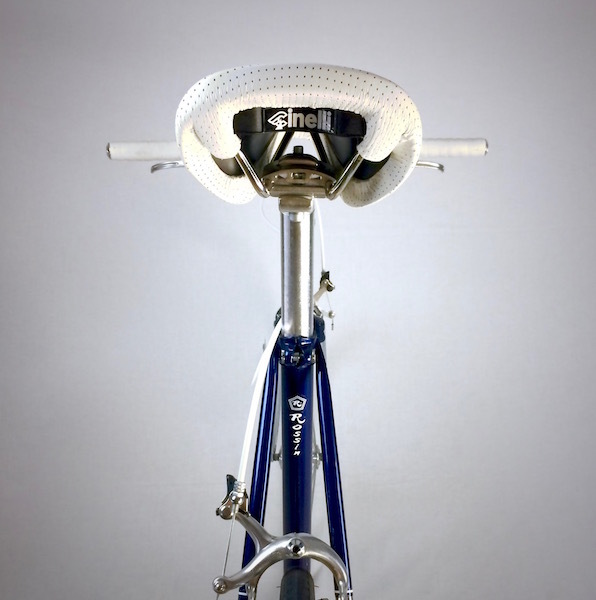 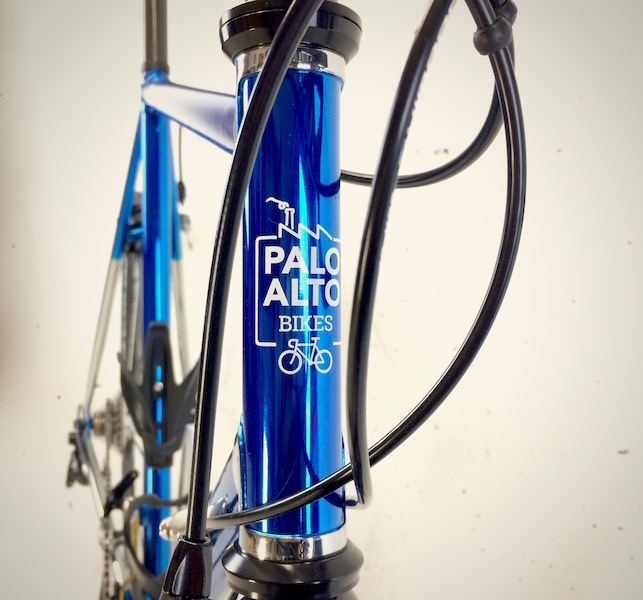 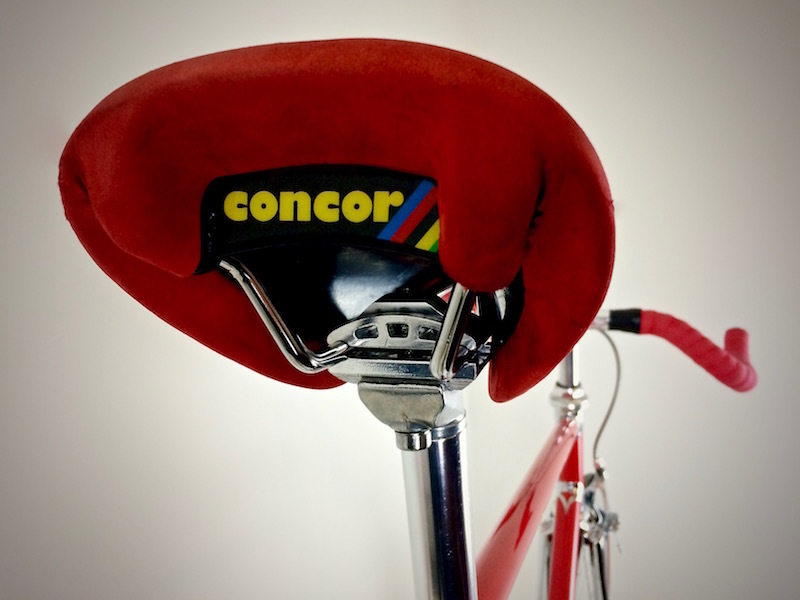 Few finl touches: 32mm aluminum rims, a quick-release Affix rear hub, Bullhorn handlebar and a fantastic “Concor” San Marco saddle.